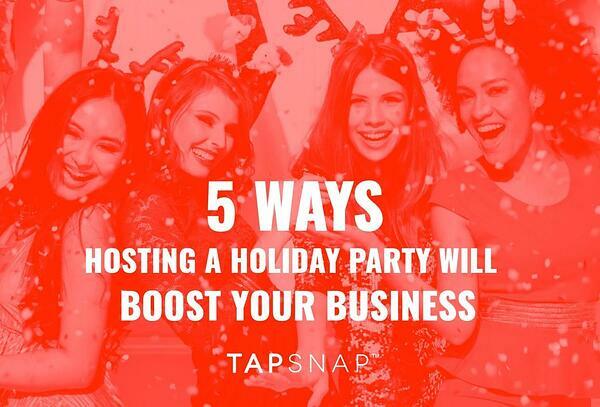 Prove that your business is about more than just work, work, work by hosting a holiday party that entertains employees and captivates customers. Not only will it show that you can partake in the festive fun, but it can benefit your company in a number of ways on a more long-term basis. 1) Employees will feel appreciated. The holidays tend to be a popular time for employees to question their workplace and browse other opportunities. 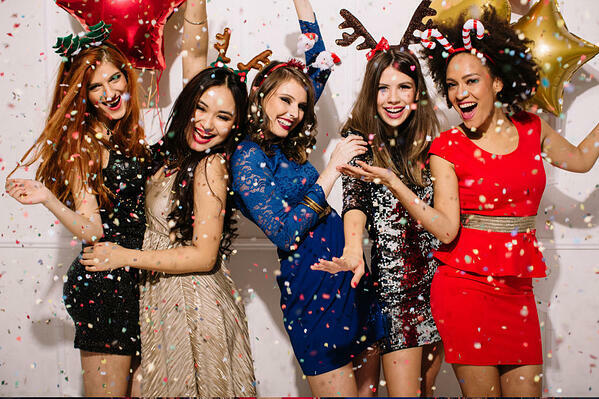 Hosting a fun holiday party is a great way to show appreciation for your team, keep them interacting with each other, and remind them why they love working for you. 2) Existing customers will want to stay. Keep current customers happy and they’ll want to stick around. Throwing a great party will also make your company the talk of the town, as your guests will want to share details and photos of their fun evening with their colleagues. 3) Potential customers will want to join in on the fun. Through both word-of-mouth and online event promotion, your company will reach a new audience, driving brand awareness through the posts shared on social media by your party guests. 4) Employees will work harder. Allowing your employees to take some time to let loose and connect outside of the office walls will encourage them to bond with their peers on a personal level and appreciate the corporate culture of your company. When employees feel valued, connected, and invested, they work harder. 5) Create some brand buzz through social media. If you have some fun on-site event entertainment, guests will want to snap photos and share them online. Having a unique hashtag for your event and creating some fun photo ops will create chatter about your company online - free and fun advertising that could lead to business growth by generating new leads. 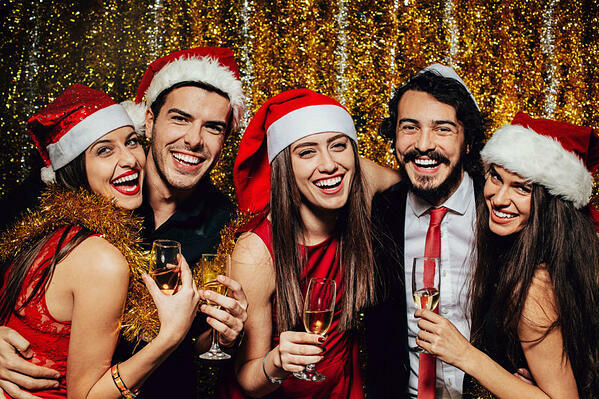 Whether you have a small team and list of devoted customers, or you’re a large corporate entity with hundreds and staff and clientele, hosting a holiday party will boost morale amongst your employees, keep customers loyal and engaged, and create new opportunities for you to grow your business. Make sure you plan some fun activities to get party guests mingling, and provide them with the right tools to share their memories online, and you’ll be sure to reap the benefits.